Think back to when you were 13. Most likely you lived with your family, and your biggest challenges were staying on top of your homework and navigating the ups and downs of middle school social life. Now imagine yourself at 13 in a vastly different reality: orphaned and separated from your siblings, taken in by relatives in a very crowded household with no money to spare. Your siblings have dropped out of school to work, and it looks like that will be your fate, too. But then a savior steps in, providing the financial support that allows you to stay in school. You still have to work a strenuous job whenever school is out, but a promising future lies ahead of you. That’s the reality of Ms. Thipphavan Say; her savior is EDF-Lao. Thipphavan Say (“Thip”) lost both her parents when she was three; her father died from a serious illness and her mother suffered an accidental death. Thip and her five older siblings were then split up to live with relatives in various parts of Laos: Salavan, Savannakhet, and Vientiane Province. The relatives--uncles, aunts, and cousins--already had their own families, so to avoid being a burden the older children dropped out of school and worked. The oldest, now 25 years old, left school as a third grader. The second oldest, now 19, left during first grade. 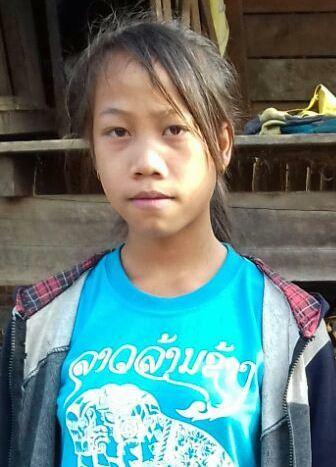 The third oldest, now 18, didn’t attend school at all and is now working as a maid living in Vientiane Province. Thip’s other siblings, ages 15 and 17, were luckier than the others -- they got to attend school and are still studying. – 30,000 Lao Kip per a day. 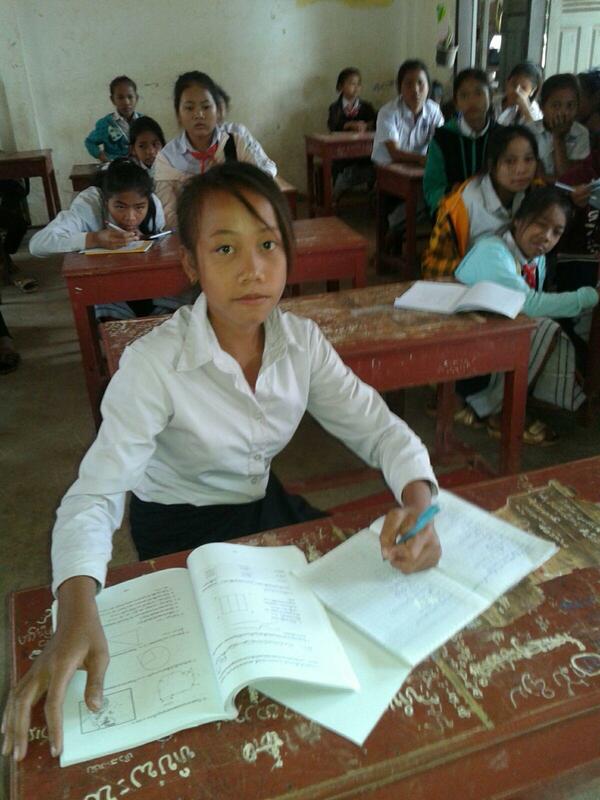 Thip is lucky, too; with the help of EDF-Lao she’s able to stay in school. Otherwise she would be working full-time to help support her new family -- seven relatives living in a small, crowded house, struggling for money. Thip’s uncle is the main breadwinner. He works as a logger, a low-paying job that puts him at risk from falling trees, and involves heavy lifting and hazardous equipment. Thip’s aunt is a farmer, which in Laos isn’t steady work; she works for someone else, and when there’s no work she earns no income. Thip also works, because her family can’t survive without the extra income. But thanks to EDF-Lao’s support, she only has to do so on vacations and holidays, allowing her focus on her education when school is in session. Thip works in rice harvesting, a physically strenuous and repetitive job covering acres of muddy rice paddy fields. Imagine the toll this can take. By bending for long hours to plant and harvest rice she strains her back; she’s exposed to diseases like malaria, fungal and bacterial infections; she’s at risk of heat stroke; and she’s also subject to hazards like snake bites. Fortunately she’s succeeding in school, giving her the potential to transcend her circumstances in the years ahead. Thip and her family are grateful to EDF-Lao -- and to her donor in particular -- for giving her an education and the promise of a brighter future. I am happy and very pleased to receive the scholarship donation. Without your support I wouldn’t be able to attend school therefore I will be a good student with a determination to study and not be absent from school like before. I am very happy and pleased that you supported a poor orphan like myself. I see your compassion in helping the poor disadvantage children. I promise to be a good student and prove to be worthy of the scholarship. I would like to say that I am very very proud to receive the scholarship and am grateful for my studies. Thus I would like to wish you a forever good health, happiness, and a long life. Blessings to you!